So todays’s post is all about preservatives. Preservatives are an antimicrobial solution that helps to prevents molds and bacterias (those greens or blacks patches) from growing in your products. If you have any water in your product; you need a preservatives as water is the main medium for molds and bacteria growth besides nutrients (usually from vitamins and fresh food), and air. What if I Dont Use Preservatives? If you dont use preservatives in your product it will have bacteria and mold growing in it. First of all; it will look ugly. Secondly; it may harm the users. Our human eyes are not able to see the bacteria/mold until it has multiply a million times. Which means there are already millions of bacteria and molds in the product before you see a tiny dot. 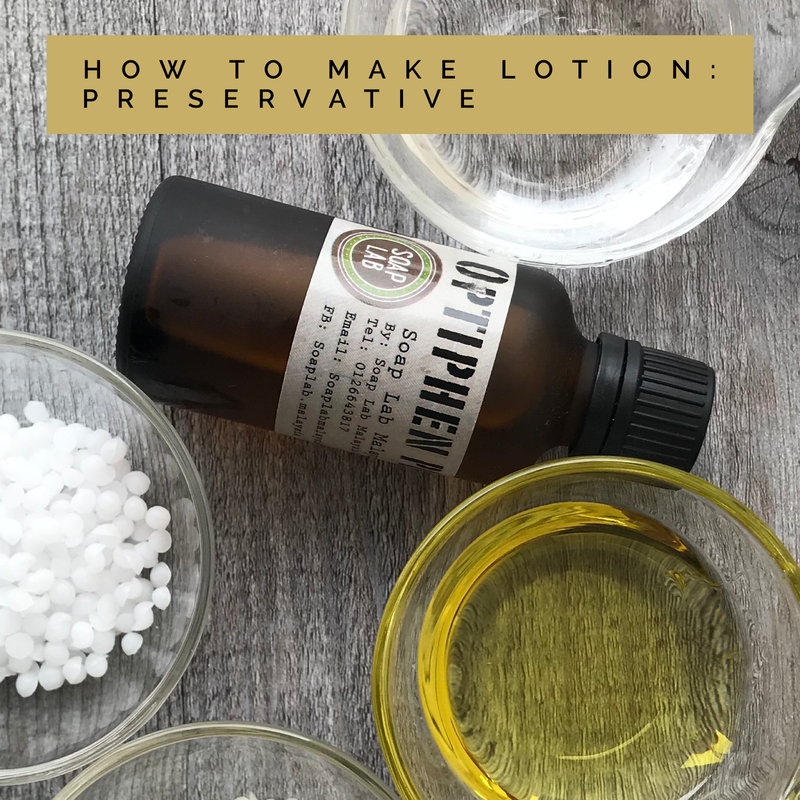 When you apply this on your skin; especially on broken dried skin; these bacteria/molds can get into your blood stream and cause bigger problems like fever, infection or worst; Brain/spine infections that are very difficult to treat! What are the Type of Preservatives Available? There are many preservatives available in the market today. In SoapLab Malaysia we have full spectrum preservatives like: Optiphen Plus, Germal Plus and DMDM Hydantoin. These are all paraben free preservatives. Full Spectrum means that it covers all type of bacteria and mold at a wider pH range. Some preservatives are not full spectrum which means you will need more than one type of preservatives to prevent all kind of bacteria and molds. Vitamin E, Grape Seed Oil, Rosemary, Lavender, Tea tree oil etc. Vit E and Grape Seed Oil are anti oxidant. It doesnt help in preventing the bacteria and molds from growing. It only helps in preventing rancidity of the oils. As mentioned in Part 3; Some oils have shorter shelf life; so anti oxidant are added to prolong the shelf life to another 1-2 months. water; you need to add preservatives. So this Sums up the whole Basic Lotion Making Course. Again; Read Part 1- Part 5 to understand the whole picture. In the next few posts ill show you some videos on how to make lotions. Thank you for reading. If you want to read more about how to determine product expiry and packaging; please click here.